Yesterday Microsoft announced that Windows 8 had accrued 100,000 applications for its Windows Store marketplace. It was a nice milestone for Microsoft, even if the number itself is essentially meaningless to the average user. [Microsoft vice president Keith] Lorizio said it was “critical” for a wide variety of Windows 8 apps to be available if the new platform is going to be a hit. “We’re expecting to aggressively pursue 100,000-plus apps over the first three months,” the exec said. Assuming that Microsoft meant three months following the operating system’s general availability which occurred on October 26th, Microsoft expected to cross the 100,000 app mark by January 26th, 2013. Or, essentially, by the start of February, granting them a slight tract of leeway. Now, to the math: Three months is 90 days. Between October 26th and yesterday, 248 days passed. Therefore, Microsoft underestimated the number of days it would take to cross the 100,00 threshold by almost a factor of three. That’s an impressive miss. Why does this matter? We are not simply poking fun at a rosy estimate. Instead, the above figures represent the real underperformance of Windows 8 in the market since its launch. 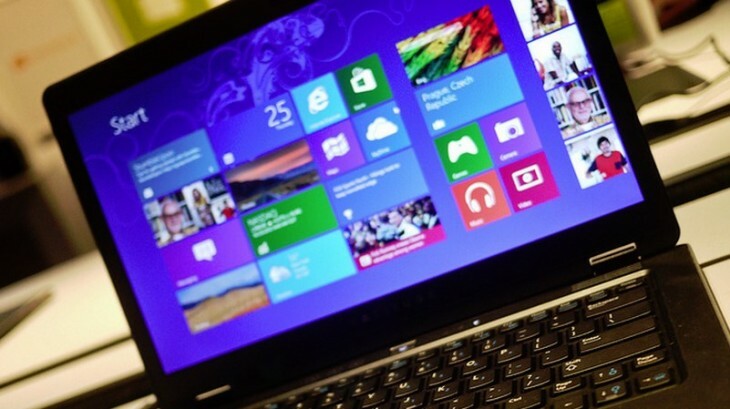 Windows 8 has now sold 100 million licences. However, given the mismatch between app development expectations and reality, I would guess that Microsoft expected far quicker sales of the operating system as well. The same line of reasoning applies to the Surface line of tablets as well. Also in that ZDNet article is the following line: “[Microsoft] expects 400 million Windows 8 devices to be in the grasp of customer hands by next July.” Quite obviously, that figure is further away than it is close, by a stunning margin. What does this mean moving forward? Simply that Windows 8.1 and the coming set of new hardware from both Microsoft and its OEM partners have their work ahead of them. We are seeing strong app momentum for Windows 8, with new top apps coming to the Windows Store each day including OpenTable, Rhapsody, Rockmelt, Time Out and Vevo. We’re also excited about partners that are committed to building for the platform such as Facebook, Flipboard, Foursquare and new titles from Disney. We continue to focus on having the apps our customers love and want in the Windows Store and are pleased the Windows Store has crossed the 100,000 app threshold in just eight months since Windows 8 GA.
Top Image Credit: Dell Inc.